When Tampa was announced as the site of the 2012 Republican National Convention, law enforcement expected thousands of protestors to arrive with it. The Tampa Bay Times recently reported part of law enforcement’s preparation included undercover officers infiltrating protest groups and working their way up into leadership roles. Staff writer Richard Danielson wrote that story for the Times. Danielson spoke with WGCU about how he found out about the story and what he learned about the operation. 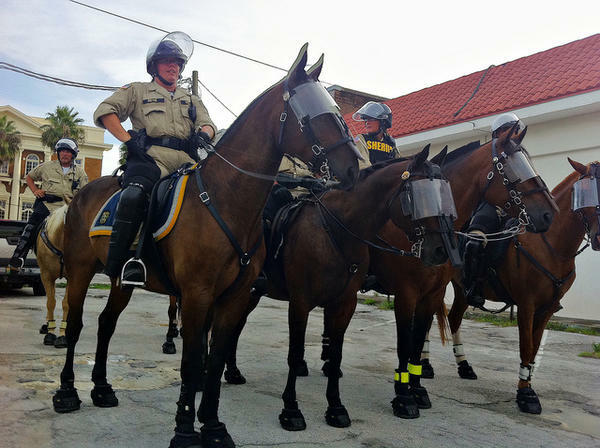 Danielson reported on how law enforcement got ready for the convention. He says at the time, the police had a two-part approach: First, they grew the size of the force to outnumber the protestors. Secondly, Danielson says, law enforcement tried to facilitate peaceful demonstrations. But, three years later, a new part of the operation has been revealed. Is the city of Tampa "unromantic and sullen"? That's what Garance Franke-Ruta, senior editor at The Atlantic, said about Tampa in a blog post. It's the latest in a series of slights, put-downs and disses Tampa is receiving as it prepares to host the Republican National Convention in August.